Hundreds of dogs have been spared from slaughter for the dog meat trade, thanks to the tireless work of animal rescue groups in China who intervened to save them. Late last month, dozens of workers from the Chinese organizations Home of Love and the Chongquing Small Animal Protection Association, along with local authorities, descended upon a house in the Sichuan province where some 800 dogs were being kept in squalid conditions awaiting their grim fate. 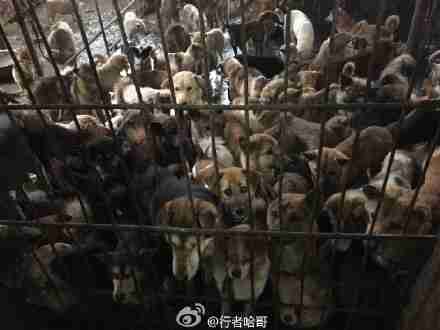 According to Chinese outlet News Luzhou, the dogs were all sick and underfed, some stuffed into cages, others crowded together in the scrapyard-like setting. Many dogs were reportedly wearing collars, suggesting that they were family pets stolen from their owners. 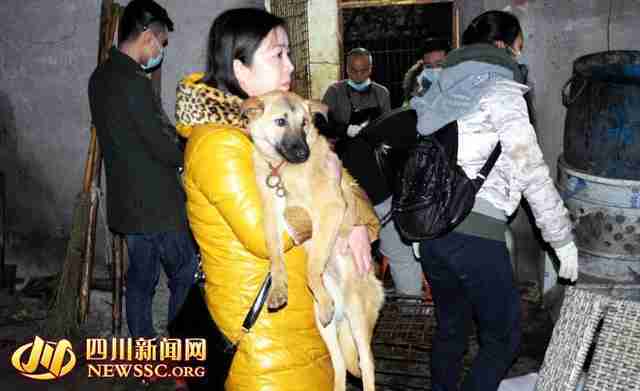 Volunteers labored for more than 10 hours, carefully collecting all the animals and transporting them to an animal sanctuary in Chengdu, giving medical attention to those dogs who needed it the most. "We're tired, exhausted, but smiling," writes Home Of Love. "Because more than 800 lives are out of the disaster." 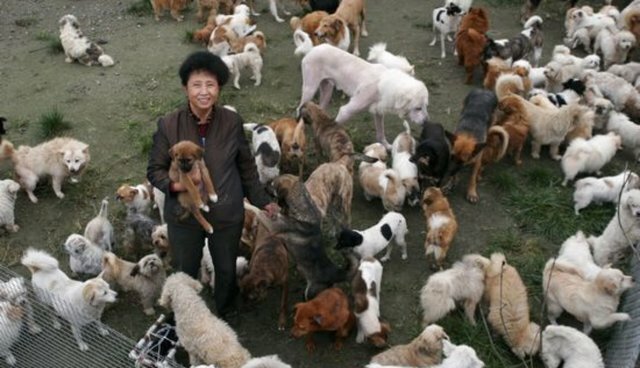 Since news of the massive dog rescue broke, the sanctuary has raised more than $11,000 from animal lovers across China for their care. Although China has a long tradition of consuming dog meat, its popularity has waned in recent years among the burgeoning middle class who are increasingly keeping them as pets instead - and the government seems more than accepting of the idea. "It might be difficult to draw a universally accepted line as to what animals should be eaten. But when there is already a vast variety of meat, maybe it is time to stop serving dog." Dog meat may be losing favor elsewhere as well. Earlier this month, Humane Society International (HSI) rescued dozens of dogs from a meat farmer in South Korea who wished to get out of the business, and is campaigning to reduce dog meat consumption throughout Asia. To support HSI's efforts, visit the group's website here.